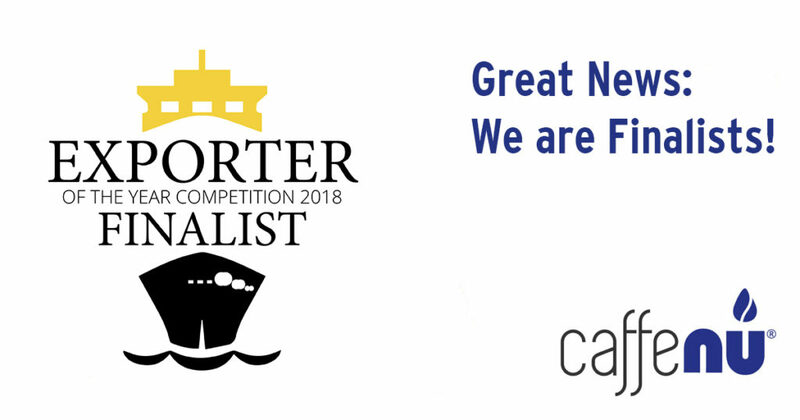 Caffenu is proud to announce that we have been selected as finalists in the Exporter of the Year Competition 2018 set out by the Cape Chamber of Commerce & Industry. The prestigious ECIC Exporter of the Year Competition is now in its 28th year, and it celebrates the vital role exporters play in the economy of the Western Cape. The competition is designed to honour and promote large and small businesses that have proved their excellence in tough international markets and to inspire other ambitious companies to export their goods and services. We herewith thank the Cape Chamber of Commerce & Industry for hosting this empowering competition. This entry was posted in News and tagged competition, exporter, exporter of the year, finalist.